Firing rockets. Kids love it. Grown-ups too. 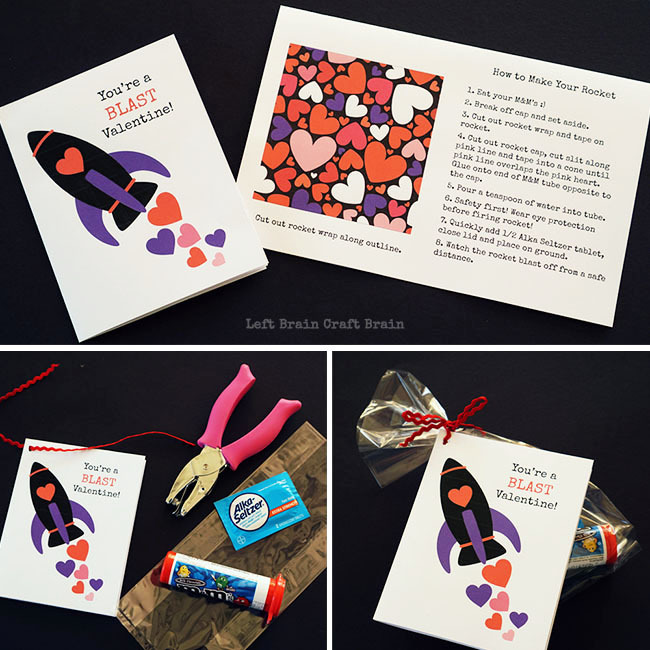 So this year for Valentine’s Day, you and the kids can give the gift of rockets! Oh and some M&M’s too! 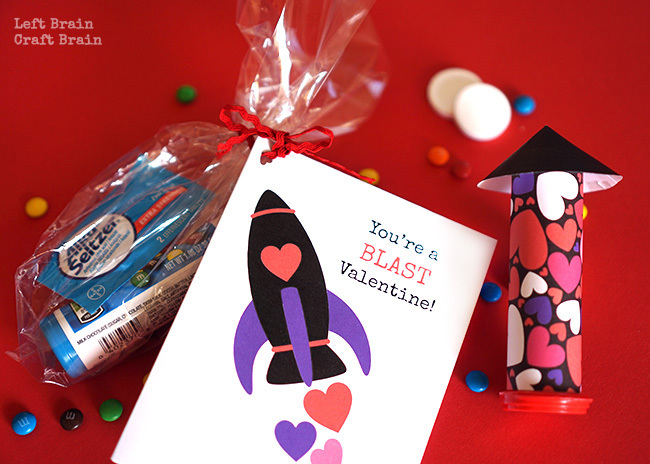 Simply wrap up some candy and Alka Seltzer with this adorable rocket printable and your Valentines will be blasting these skywards before you know it. 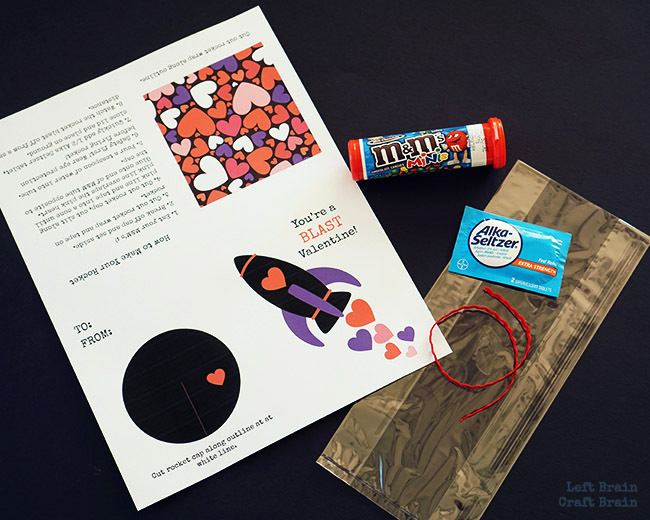 Oh and guess what, they’ll learn a little science with these DIY Rocket Valentines, too. 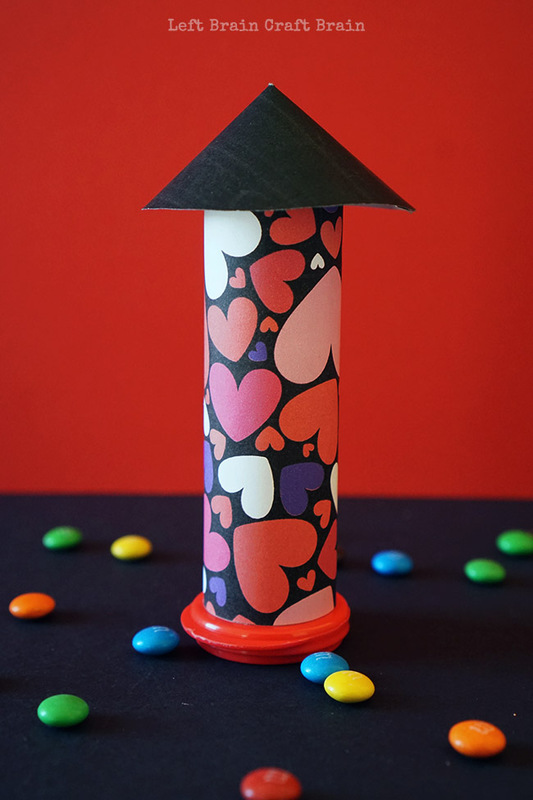 To make the Valentines, first print out the DIY Rocket Valentine Printable and fold in half and then half again. Punch a hole in the upper left corner of the Valentine and feed a ribbon through it. Don’t forget to address and sign the card! Place one Mini M&M’s tube and one Alka Seltzer packet into a cellophane bag and tie closed with the ribbon, making sure the Valentine hangs on the front. Eat your M&M’s :) Break off cap and set aside. Cut out rocket wrap and tape on rocket. 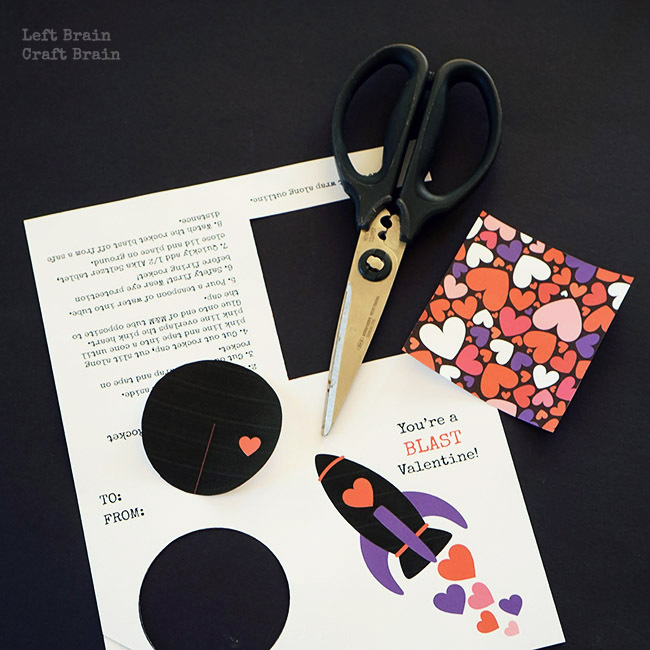 Cut out rocket cap, cut slit along pink line and tape into a cone until pink line overlaps the pink heart. Glue onto end of M&M tube opposite to the cap. Now to fire these rockets! Safety first! Wear eye protection before firing rocket! And FYI, they get a little messy, so be sure to do this outside. Because you will want to fire and repeat over and over again like we did! Pour a teaspoon of water into tube. Quickly add 1/2-1 Alka Seltzer tablet, close lid and place on ground. Watch the rocket blast off from a safe distance. 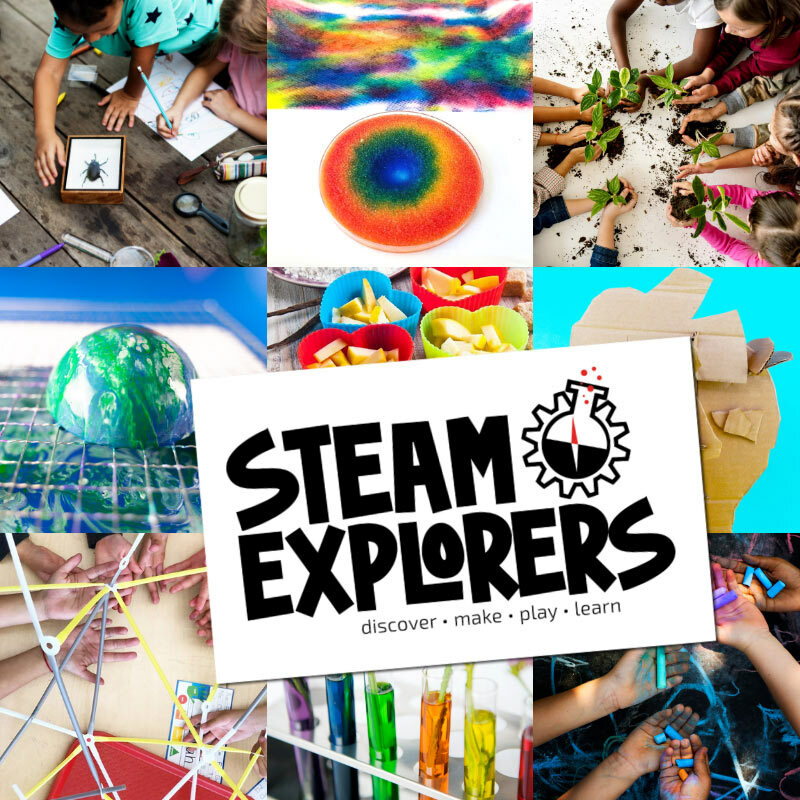 If there’s still Alka Seltzer left in the tube, you can add a little bit more water and fire again. So what makes these rockets fly? It’s the chemical reaction happening inside the M&M tube. When the Alka Seltzer (otherwise known as sodium bicarbonate, aspirin & citric acid) hits water, the sodium bicarbonate and citric acid dissolve, come into contact, react and create carbon dioxide. The tube lid blows off and the rocket shoots up once the pressure in the tube builds up enough from the carbon dioxide produced in the reaction. 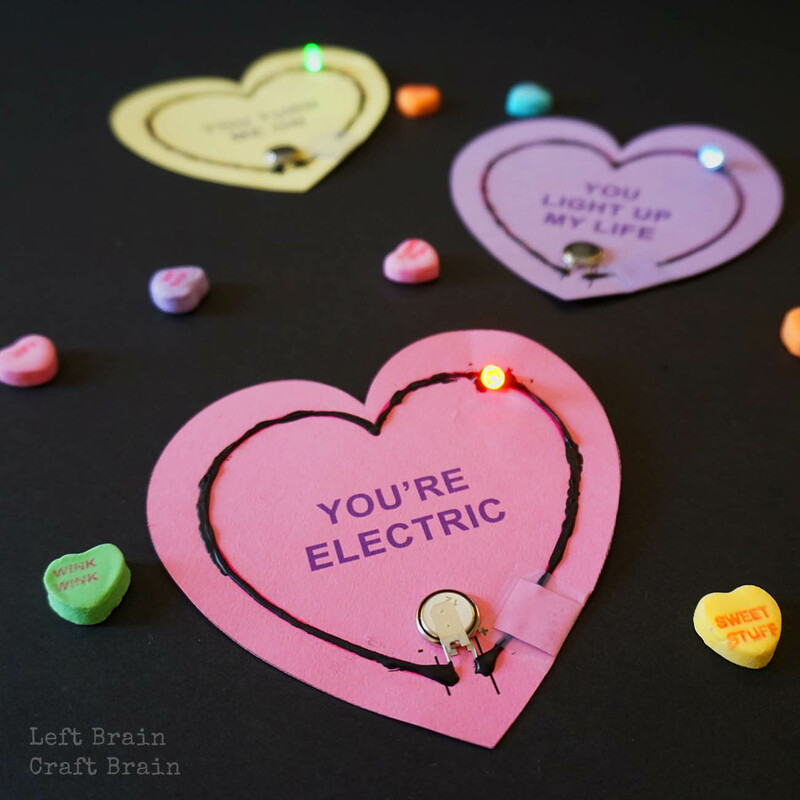 If you like rockets, you might like circuits too :) So give these Light Up Circuit Valentines a try! Love that this is a bit less commercial – thanks! !